i was instantly attracted to the red flowers draping over the white wall and decided to take a few quick shots! 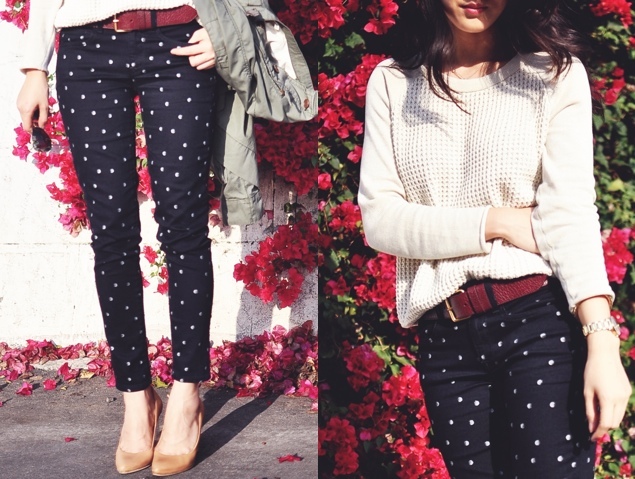 on a lazy day slipping on anything with polka dots add a bit of fun to your outfit and definitely make a statement! 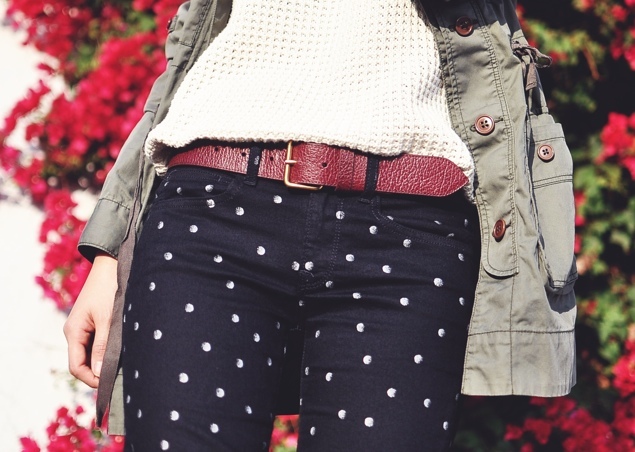 it's a fun pattern to style, but can look a bit busy if you mix too many patterns, textures or color. i wanted the pants to do all the talking, so i kept everything else simple. Annie, I like your utility jacket! It's gorgeous! So glad you found one that you like. I love your jeans! I didn't know it came from Gap! Off to check it out now. I love this look! 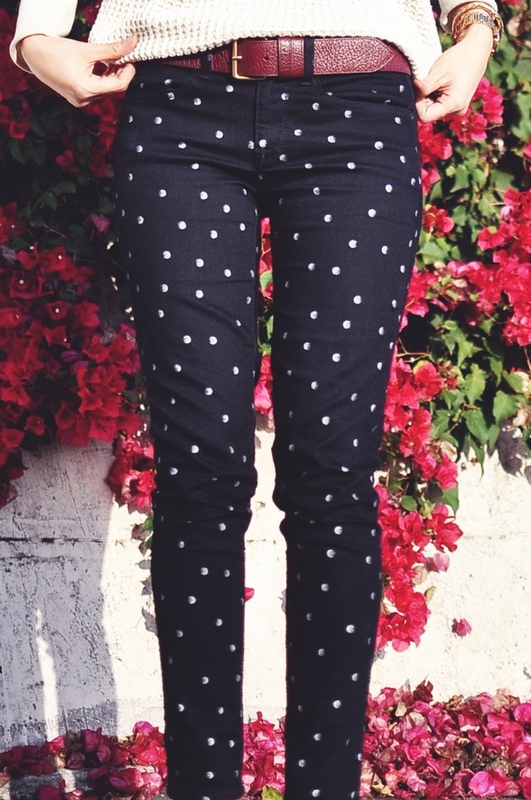 I just got a pair of polka dot jeans (mine are corduroy, dark gray with white dots) and am having a hard time figuring out what to wear with them. I think you're right to keep everything else minimal; Great tip. 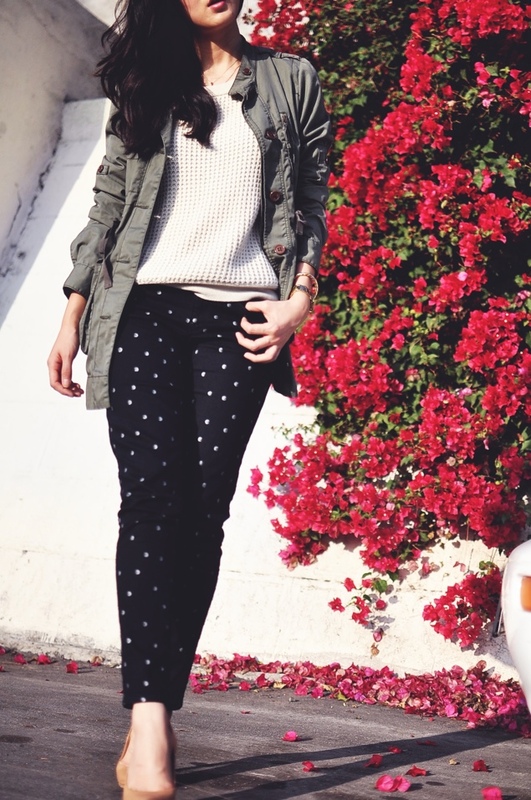 love this entire look and those mm shoes are off the hook! 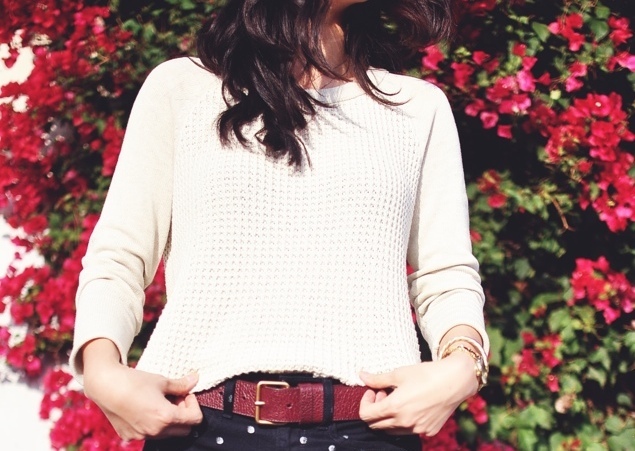 love the fit of your skinnies too- perfect on you!!!! xO! 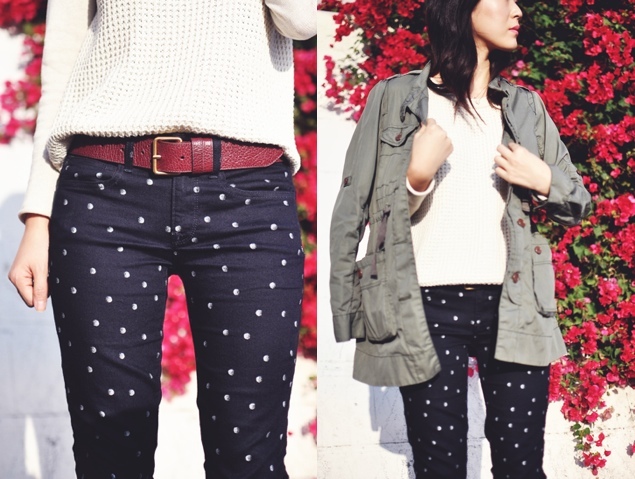 I am in love with these jeans! They look like a good DIY project too!